Clouds are beautiful things that float far, far above us, well, usually. After all, fog is a thing. In any case, if you’re in love with clouds, then check out this cool floating lamp that’s like your very own cloud, right in your home. This cloud uses some of the same magnetic tricks that we’ve seen in other floating or levitating gadgets. It is a lamp so it contains a lithium ion battery and although the bas must be plugged into an outlet, the cloud is wireless, sealing the illusion. The lights in the cloud are LED reactive lights and they will change color in response to sound. This means that the music you’re playing will give you a unique color experience with this cool lamp. 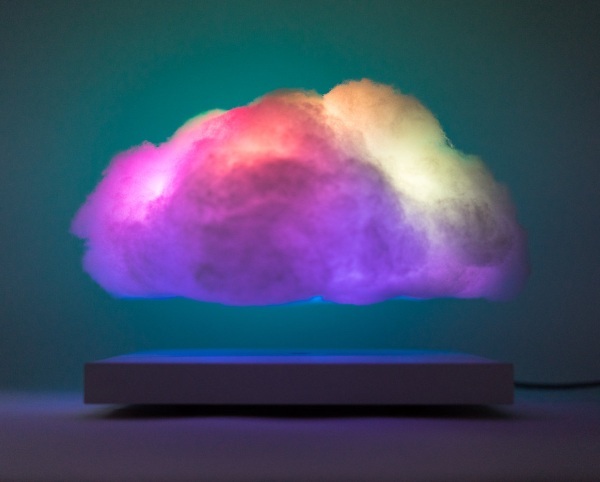 As with the other cloud products in this line, this thing is for mood lighting, not read a book by. You can get your own for the hefty price of $4,620.